This well built 2/2 split plan features and over-sized 2 car garage and proximity to both Phillippi Estate Park and Siesta Beach. The home has new carpet and paint. Enjoy walking to the park, the farmers market, nature trails and/or the music series. Launch your kayak into the creek or bay, fish from the piers or ride bikes to Siesta beach, shops and dining. This classic neighborhood with mature vegetation is a favorite for active families. 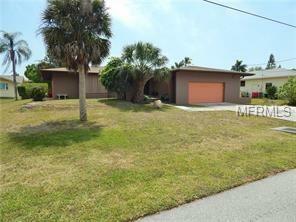 Just One Mile from world famous Siesta Beach with excellent schools surrounding. Great house! Call for an appointment!